Product range cupcake wrappers, gift boxes, place cards , cake stencils, invitation cards and some other laser cut products for party. 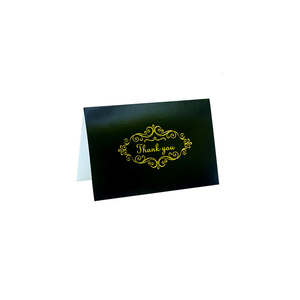 Note for the matching printing/non printing inner card, envelope and seal, please contact salesperson for details. The size, the color, the material, your special design can be printed on the surface. Jining Createbeauty Crafts Co., Ltd. SIZE & COLOR folded size 12*19cm H or AS YOUR REQUEST STRING NYLON,COTTON,SATIN RIBBON,ELASTIC ROPE ETC. 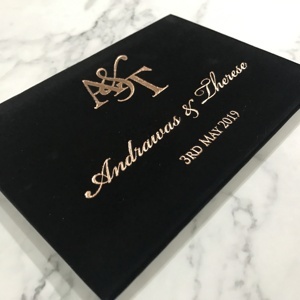 DESIGN CUSTOMIZED STYLE CENTER FOLD, END FOLD, NO FOLD OR CUSTOMIZED SURFACE FISHING DIE CUT,MATT/GLOSSY LAMINATION,HOT GOLD/SILVER STAMPING,UV,PERFORATING,IRON-FOLD . PACKAGING INNER PACKING WITH OPP BAG/LITTLE BOX,OUTER PACK WITH STRONG EXPORT CARTON OR PER CUSTOM`S REQUEST . 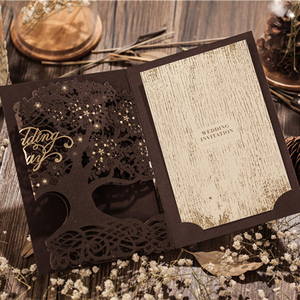 Zhejiang Minong Import & Export Co., Ltd.
Alibaba.com offers 1,086 black luxury wedding card products. About 42% of these are paper crafts, 36% are wedding decorations & gifts, and 22% are artificial crafts. 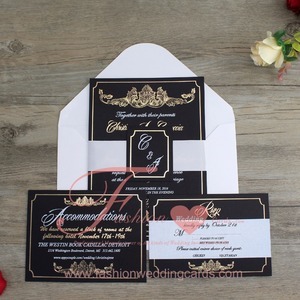 A wide variety of black luxury wedding card options are available to you, such as paper, ordinary paper. 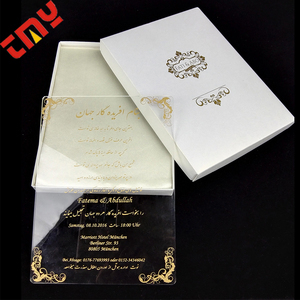 You can also choose from wedding decoration & gift, business gift, and holiday decoration & gift. 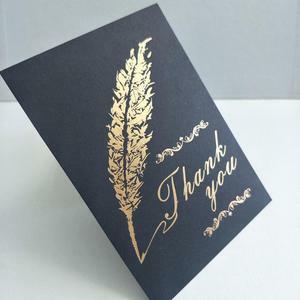 As well as from card, folded paper, and paper carving. 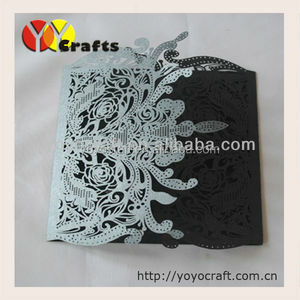 And whether black luxury wedding card is religious, artificial, or antique imitation. 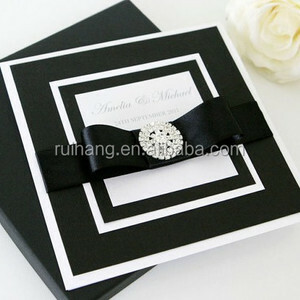 There are 1,088 black luxury wedding card suppliers, mainly located in Asia. 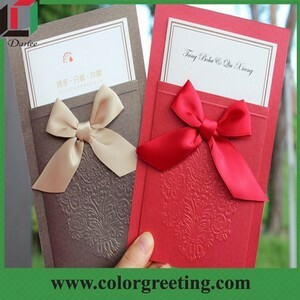 The top supplying countries are China (Mainland), Thailand, and India, which supply 95%, 3%, and 1% of black luxury wedding card respectively. 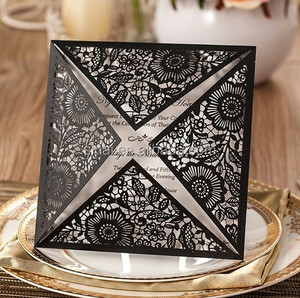 Black luxury wedding card products are most popular in North America, Western Europe, and Africa. You can ensure product safety by selecting from certified suppliers, including 68 with ISO9001, 36 with Other, and 7 with FSC certification.